No doubt Robert Bugg aspired to work for 'the slicks' - the major magazines - as an illustrator, just as those other artists did. Just look at how his work matured in the ten years after he did that comic page. What a confident, expressive style... what a beautiful flourish he brings to his inked line! But also, Bugg's work reminds me a little of some of the great Albert Dorne's inked line cartoon style. Click on the Dorne image below and I think you'll see what I mean. I wouldn't be surprised if Robert Bugg was a fan of Al Dorne's work. 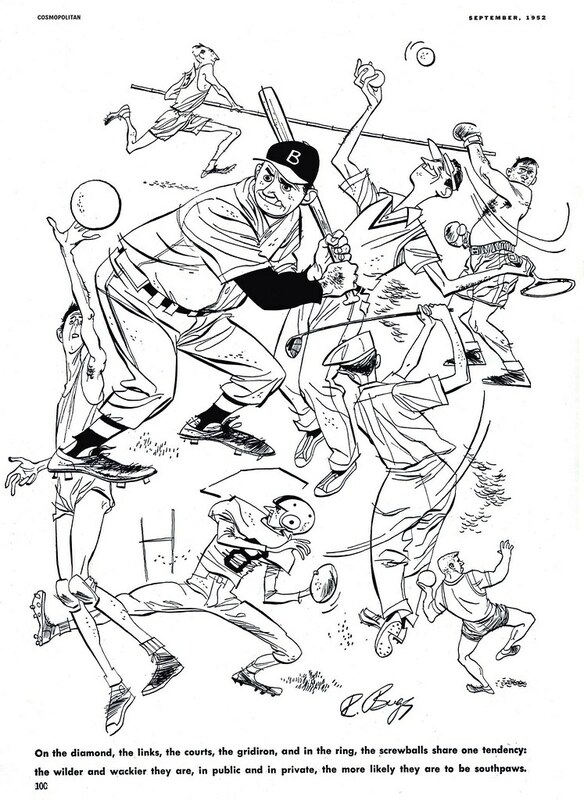 There are also some similarities to Jack Davis' work, though I think Bugg's work is 'cleaner'. 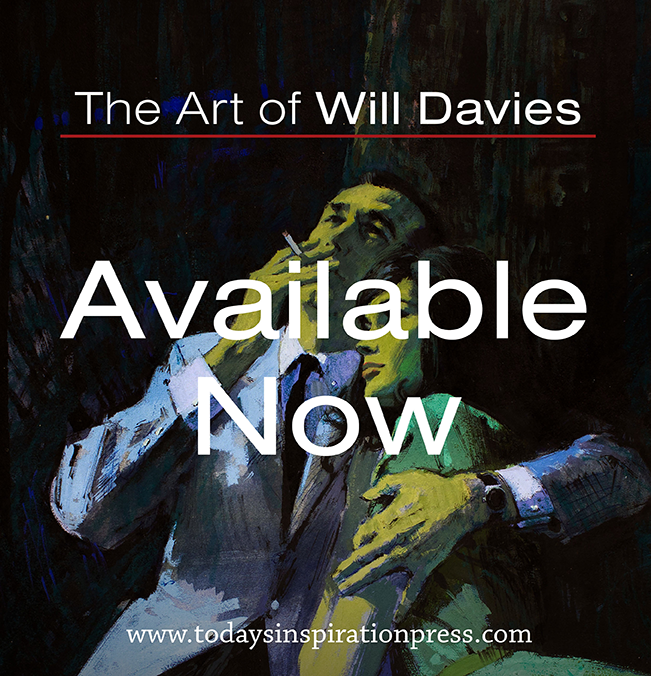 But he was able to achieve that same wild caricatural quality of body language that Davis did so well. 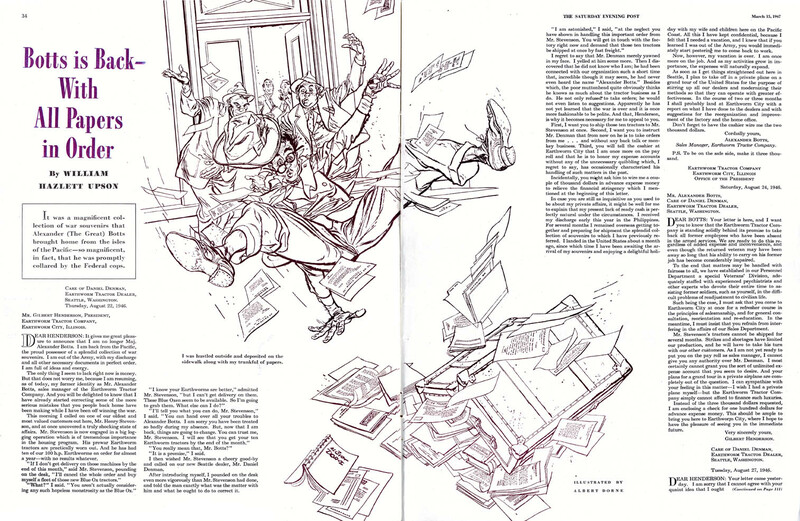 (Incidentally, I met Jack Davis at last years Reubens Awards in New Orleans and, not surprisingly, he spoke enthusiastically about his admiration for Albert Dorne's work). ... to an even more realistic painting style exemplified in this full colour piece. 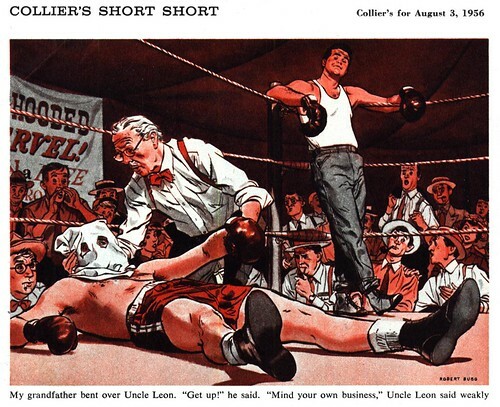 But by 1958 Collier's magazine was gone... and magazine assignments in general dried up just a few years later. So its not surprising to find Robert Bugg paperback covers like the two below, both from 1963. Like many other illustrators, Bugg may have been searching for new markets during those difficult times. Here we see the artist going even more cartoony than ever before. 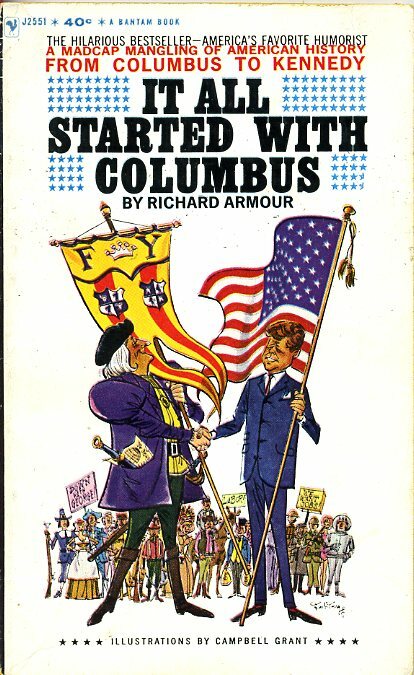 How I wish I had more examples of his 1960's work. The final bit of info we have on Robert Bugg is that in 1972 he ghosted the Dennis the Menace Sunday comic for Hank Ketcham. 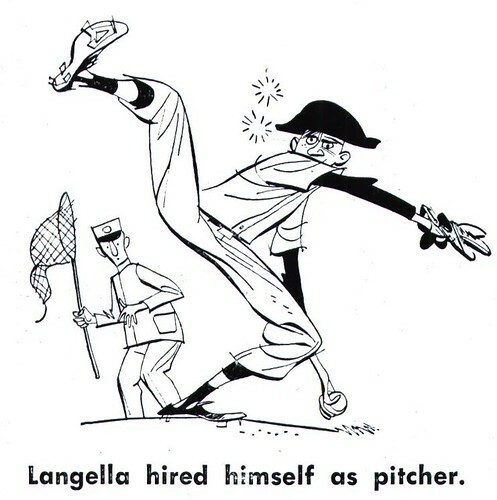 Having seen Bugg's baseball cartoons above, I'm positive he would have handled that assignment with ease. Despite all this chronology we have about Bugg's career, I feel he still remains nearly anonymous. 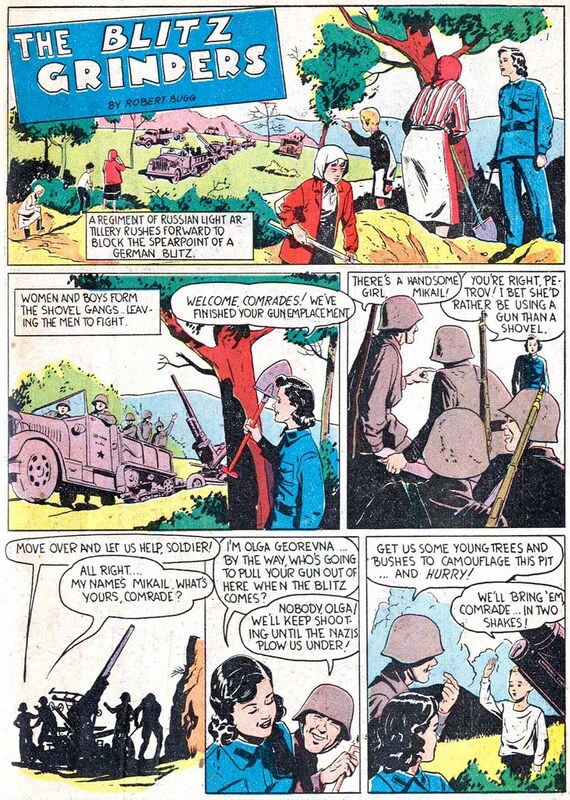 Here's hoping some day we'll learn about the man behind the artwork - a talented cartoonist/illustrator named Robert Bugg. * Many thanks to Jim Vadeboncoeur for doing the research at http://www.bailsprojects.com that revealed Robert Bugg's career details - and for providing the scan at the top of this post. 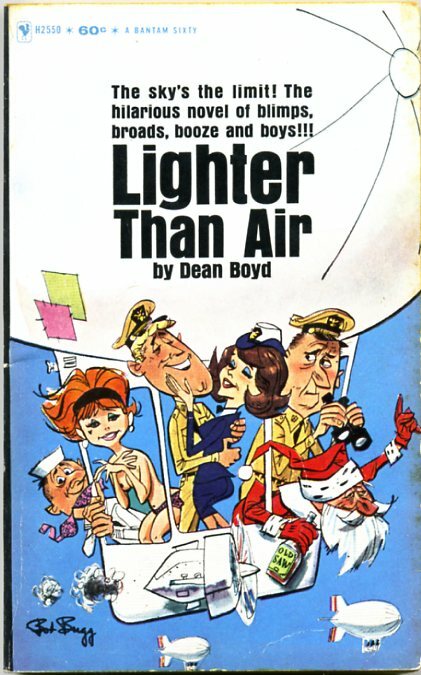 * Thanks also to paperback cover art archivist, 5m@5hYdez , who's astounding collection on Flickr is without a doubt the most invaluable resource anywhere for artwork of this type. * My Robert Bugg Flickr set. Wow, that is really beautiful linework, so lively! I was going to do something with Bugg as wel one of these days. I am still wonderring if he was the artist of the long running Explore Your Mind. Anyone know? That boxing image is superb. I'm sorry ger, I don't know about the Explore Your Mind series. At this point all the information I have on Robert Bugg is what you see here. 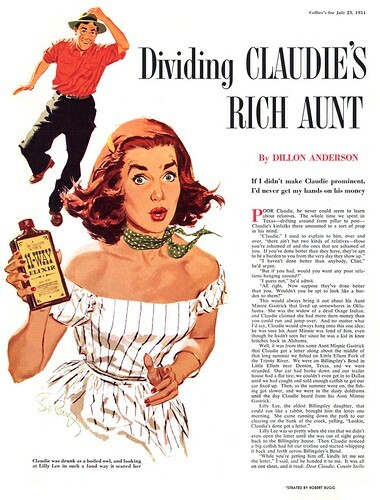 He also illustrated the cookbook for the actress who played Granny on the Beverly Hillbillies. Granny's Hillbilly Cookbook I think it's called. I remember a beautiful image of a possum crawling out of a pot.